At Bumblebee, we’re committed to protecting and respecting your privacy. We may change this policy from time to time to reflect changes to legislation and ways of working. We recommend checking this page occasionally to ensure that you’re happy with any changes. By using our website, you’re agreeing to be bound by this policy. Any questions regarding this policy and our privacy practices should be sent by email to info@bumblebeeproperty.co.uk, or by writing to Bumblebee, 3rd floor, Barnet House, 1255 High Road, London, N20 0EJ. Alternatively, you can telephone 020 8359 3399. Our Data Protection Officer is Peter Williams, Data and Information Manager. Bumblebee Lettings (‘Bumblebee’) is a private lettings company incorporated in England (10960533). The registered address is Barnet House, 1255 High Road, Whetstone, London, England, N20 0EJ.  It is a member of The Barnet Group Limited. The Barnet Group also includes Barnet Homes Limited, Your Choice (Barnet) Limited, and Opendoor Homes (Open Door Limited). We will only collect personal information when we need this. Personal information means information which can identify you as an individual. When we ask you for information we will make it clear why we need it. We will also make it clear when you do not have to provide us with information, and any consequences of not providing this. Most information we hold will be collected from you, but we may also obtain information from third parties such as the local authority, a previous landlord, or a community partner. We may also obtain information from publicly-accessible sources, or engage the services of market research organisations to validate, or where appropriate enhance the information that we hold. Bumblebee collects personal information in a number of different ways including when you register with us and/or use our services on our website, online portal, and/or app; and through customer agreements, tenancies, and leases; contracts; forms; general customer contacts (including phone calls, letters, emails, and face-to-face conversations); and recording of calls made to our contact centre. We also collect information when you voluntarily complete customer surveys, or provide feedback. Website usage information is collected using cookies. The type of information we need from you will vary depending on our relationship with you. When you register with us we will request and hold information necessary to process your request and/or application, or to manage your property or tenancy, including your name and contact details. We may also capture your IP address and information regarding what pages are accessed and when. If you are a landlord, we may also collect information necessary to process your requirements, including your name, address, telephone number, email address, bank details, and information about your property. If you register with Bumblebee as a prospective tenant, we will request information necessary to process your requirements, including references from housing providers or private landlords, and information from credit reference agencies. If you are a tenant, licensee, or other user of our services, we may also collect information that is necessary to process your requirements, including your name, address, email address, age, date of birth, ethnicity, income, National Insurance number, income and benefits details, employment or education status, relationship status, any disabilities, any communication and accessibility requirements, religion or belief, sexuality, nationality, bank details, records of our contact with you (including contact from third parties representing you or about you) including call recordings and financial records, credit status, and details of any unspent criminal convictions. We will also collect any information required by relevant legislation. analyse patterns and trends of service usage and satisfaction levels for insight purposes, to enable us to make informed decisions in relation to services. Provision of some of the information requested by us is part of a legal or contractual requirement, including where you have asked us to do something before you enter into a contract with us (for example, entering into your tenancy). Without this information, we will be unable to accept an application for services or may be unable to manage your services. For example, we cannot see if you are eligible for a tenancy without being able to verify your identity, and if we cannot contact you about your tenancy if we do not hold your contact details. It is in our legitimate interests to understand how we are performing so we can meet our priorities and objectives. All estate agents are required under the Money Laundering Regulations 2007 to identify you and to verify your identity on the basis of documents proving your identity and the proof of address. In order to do this, we will ask you for a copy of your passport or similar photographic identification, and a copy of a utility bill or bank statement proving your current address and which is not more than three months old. Please speak to us if you have any concerns. Sometimes we need to share personal information we hold about you with other organisations that we work with or which provide services on our behalf. When sharing information, we will comply with all aspects of data protection law. Where the information is of a sensitive nature, for example about your health, we will generally obtain consent from you prior to sharing this information, unless we are required or permitted to share this by law. Our contractors to facilitate repairs, maintenance or improvement works. Other organisations which provide services on behalf of the London Borough of Barnet such as Capita. Other organisations in The Barnet Group in order to deliver our services to you. Utility companies (and their representatives) and Council Tax Departments to ensure billing details are correct. Third parties providing services on our behalf. For example, credit reference agencies, a research company carrying out a customer satisfaction survey, or debt recovery services. Agencies committed to protecting public funds and/or preventing fraud in line with the National Fraud Initiative. Police and other relevant authorities (e.g. Department of Work & Pensions, Probation Service, HM Revenue and Customs) in relation to the prevention and detection of crime, the apprehension of offenders, the collection of tax or duty, in connection with any legal proceedings or prospective legal proceedings, for the purpose of obtaining legal advice, or when contacted by utility companies or Council Tax departments to ensure billing details are correct. We may also share information when required by law for example where ordered by the Court or to protect an individual from immediate harm. We may be unable to advise you immediately of such disclosure, subject to compliance with such regulations, at all times; however, we will take steps with the aim of ensuring that your privacy rights continue to be protected. When we share information with third parties, we disclose only the personal information that is necessary to deliver the service, and we have a contract and/or information sharing agreement in place that requires them to keep your information secure and not to use it for their own direct marketing purposes. There may be occasions where we need to process your information outside of the European Economic Area (EEA); for example, if we use a third party computer system supported by employees in the USA. If we do this we will take all necessary steps to ensure that your information remains secure. We will not share your information with our third party partners for marketing purposes, unless you consent to us doing so. We will routinely use your contact details to send you information and communicate with you about your tenancy or contract. If you have a preferred method of contact, you can make this known to us; however, we will use all means of contact available should we need to contact you in the event of an emergency or to enforce the terms of your tenancy or contract. You have a choice about whether or not you wish to receive information from us. If you do not want to receive direct marketing communications from us about services or products that may be of interest, then you can select your choices by ticking the relevant boxes on the form on which we collect your information. We will not contact you for marketing purposes by email, phone or text message unless you have given your prior consent. We will not contact you for marketing purposes by post if you have indicated that you do not wish to be contacted. You can change your marketing preferences at any time by contacting us by email at info@bumblebeelettings.co.uk or telephone on 020 8359 3399. Through the provision of our suite of privacy notices, we will be open and transparent about how and why we use your personal information. You have the right to request a copy of the personal information we hold about you. This is known as a Subject Access request. In order for us to process a Subject Access Request we need this to be made in writing (we have a Subject Access Request form you can use for this purpose, to make it easier to include all the details we might need to locate the information you want), and we ask that your written request is accompanied by proof of your identity and address. If someone is requesting information on your behalf, they will need written confirmation from you to evidence your consent for us to release this and proof of ID (both yours and theirs). If you are seeking to obtain specific information (for example, about a particular matter or from a particular time period), it helps if you clarify the details of what you would like to receive in your written request. Once your request has been received, along with your proof of identity and address, we will provide your information within one month. We do not usually charge a fee for dealing with a Subject Access Request; please refer to our Subject Access Request Policy for further information. In response to Subject Access Requests we will provide you with a copy of the information we hold that relates to you. This will not generally include information about your property such as repair logs, details of contractor visits, or general property maintenance information, as this is unlikely to constitute your ‘personal information’. The right to erasure is also known as ‘the right to be forgotten’. In some circumstances, you can ask us to delete or remove personal data where there is no compelling reason for its continued processing. This is not an absolute right, and we will need to consider the circumstances of any such request and balance this against our need to continue processing the data. Our response will also be guided by the provisions of our Records Retention Schedule. If you disagree with the accuracy of personal data. If we’re processing your data on the grounds of legitimate interests (as detailed earlier), and whilst we consider whether our legitimate grounds override those of yours. We will assess your request and seek to comply with it; however, there will be some situations where we will be unable to comply – for example due to a legal requirement or where processing of personal information is necessary in relation to providing a service. Where this is the case we will inform you of the reason for this. If the situation arises where it would be helpful for you to move, copy, or transfer personal data we hold about you, across different services, you may be able to ask us to do this. Please contact us to discuss. If you’d like to talk to us about your rights, you can contact us at info@bumblebeelettings.co.uk. Information on how to make a complaint to Bumblebee can be found here. We take our responsibilities to under data protection legislation very seriously, and we will apply appropriate technical and organisational measures to ensure your personal information is secure. For example, we have a number of policies, procedures, and templates in place in relation to protecting personal data, in addition to systems to ensure that access to personal information is restricted to authorised individuals on a strictly need-to-know basis. We also ensure all employees complete new starter training and annual refresher training on data protection. When we need to share personal data with our contractors and third-party suppliers, our relationships are governed by our contracts with them which include strict data sharing and confidentiality protocols. To help us ensure confidentiality of your personal information we will ask you (and any of your representatives) security questions to confirm your identity when you call us and as may be necessary when we call you. We will not discuss your personal information with anyone other than you, unless you have given us prior written authorisation to do so or where we have received a clear verbal instruction from you (as a one-off circumstance). We only hold records during the period of our relationship and for a set period afterwards to allow us to meet our legal obligations including resolving any follow up issues between us. We have a Records Retention Schedule which sets out how long we keep different types of information for. This is based on National Housing Federation guidance, legal requirements, and best practice. We review our retention periods for personal information on a regular basis. When you give us personal information online, we take steps to ensure that it’s treated securely. Any sensitive information (such as credit or debit card details) is encrypted and protected with the following software: 128 Bit encryption on SSL. When you are on a secure page, a lock icon will appear on the bottom of web browsers such as Microsoft Internet Explorer. Non-sensitive personal data (e.g. your email address, etc.) is transmitted normally over the Internet if you submit a contact form, and this can never be guaranteed to be 100% secure. As a result, while we strive to protect your personal information, we cannot guarantee the security of any information you transmit to us, and you do so at your own risk. Once we receive your information, we make our best effort to ensure its security on our systems. Where we have given (or where you have chosen) a password which enables you to access certain parts of our website or online platform, you are responsible for keeping this password confidential. We ask you not to share your password with anyone. Our website may contain links to other websites run by other organisations. We cannot be responsible for the privacy policies and practices of other sites even if you access them using links from our website. When you are transferred to another site by following an external link we recommend that you read their privacy statement on their use of your personal data.